The Holiday office coordinators are the friendliest people on the planet. The personal touch….that is what makes dealing with Holiday by phone so easy. There was strong leadership on our trip. I found the staff especially attentive to my food allergy problem (i.e. celiac disease) and that level of attention put me at ease. The hike to the petroglyphs up Jones Hole Creek (my second time) was very rewarding. 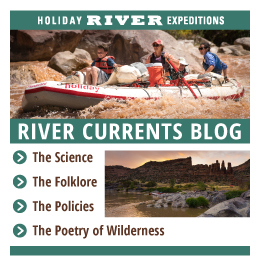 The Lodore trip is a tale of two rivers: the damned, controlled Green River, and the undammed wild Yampa River. Having done the Yampa previously, I enjoyed the contrast of the Green merging into the Yampa. I also learned that doing the same river twice (i.e. 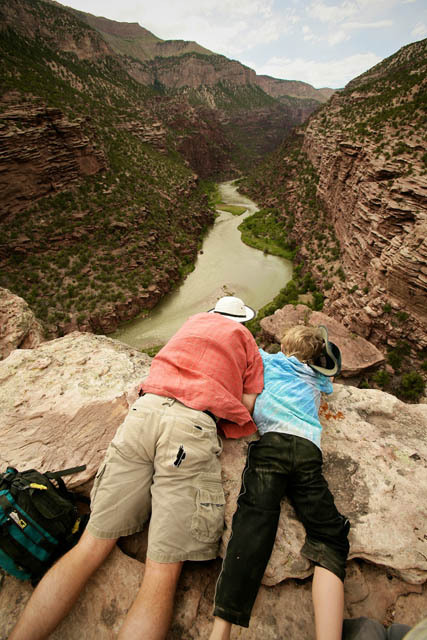 the Yampa) is not the same experience twice: the river is never the same. The staff is just tireless and puts effort into maximizing the group’s experience. Unplugged in the canyons of Utah on swift-river in an ever changing landscape: paradise!